Anyone who has taken prescribed medication has those days when they say to themselves, “Did I take my pill this morning?” Part of the aging process is some degree of memory loss, so mistakes become even more commonplace for seniors. Mixing – combining medications with others can lead to adverse, even dangerous, physical reactions OR negate the effects of one or both medications. Caution also needs to be exercised when taking medications with certain foods or alcohol. Mistakes can also happen with non-prescription drugs, such as antihistamines, laxatives, and ibuprofen. 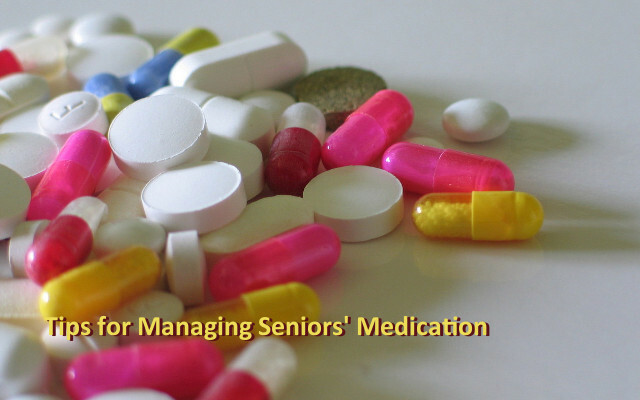 Seniors are often taking several medications and may see multiple doctors or use various pharmacies. It’s vitally important that complete medical information be provided to all healthcare providers to avoid prescription drug interactions. Go through your loved one’s the medicine chest. Make a list of all medications. Make sure they are still current. Set up a weekly or monthly pill box with medications sorted out correctly for your loved one. Monitor the box closely to be sure that the medications are being taken correctly. Share all medication information with each doctor and specialist to ensure the proper meds and doses are being ingested. Talk with the pharmacist about proper medications and doses. If you feel you can’t give your loved one’s medication regimen the oversight it requires, it may be time to consider an assisted living center. Download our brochure “Is It Time” at http://www.cityofperkins.net/isittimeforassistedliving. For more information and resources, please contact us and we can provide more information and resources to assist you in this very difficult time in your loved one’s life and your own.